VLADIVOSTOK (Sputnik) - During the Eastern Economic Forum on Wednesday Russian President Vladimir Putin touched upon a number of issues and expressed his willingness to resume discussions of energy and infrastructure projects involving Russia, South Korea and North Korea. Russian President Vladimir Putin said on Wednesday at the Eastern Economic Forum that he would like to resume discussions of energy and infrastructure projects involving Russia, South Korea and North Korea. "I would like to resume discussions of the trilateral projects in infrastructure, energy and other sectors with participation of Russia, South Korea and North Korea. To promote such initiatives it is necessary, first of all, to normalize situation on the Korean Peninsula," the president said at the forum's plenary session. 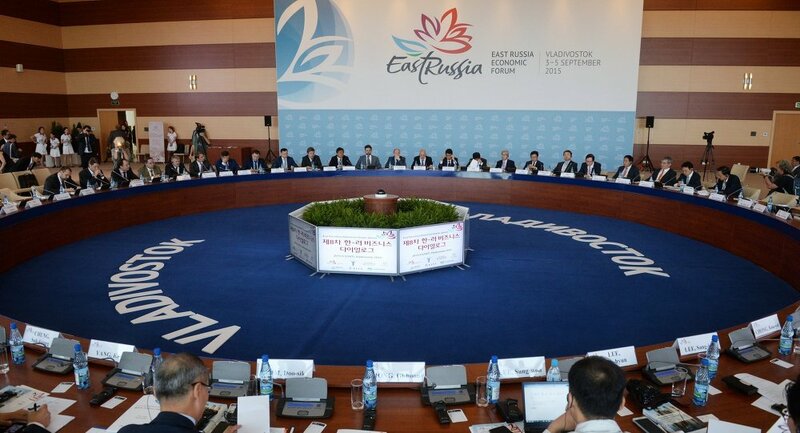 Putin also noted that Russia seeks to create a strong center for international cooperation and economic integration in the country's Far East stressing that Russia's Far East should become economic and industrial center with strong export potential. "Our efforts are aimed at creating here, in the dynamically growing Asia-Pacific region, a strong center for international cooperation and integration, business and investment activity, education, science and culture," Putin said. The Russian president stressed that he instructed government to work on special status for Far Eastern Russky Island so that companies could test their cutting-edge technologies there. In addition, Putin invited foreign partners to use Northern Sea route to ship goods. "We invite the interested partners to develop this promising transport artery," Putin said. The Russian president also urged to ensure security in Asia-Pacific region to achieve sustainable development and prevent the emergence of new conflicts as well as resolve the old ones through dialogue. "We need to ensure stability, peace and security in the Asia-Pacific region, not to allow the emergence of new conflicts and settle long-standing disputes only through dialogue in order to achieve sustainable development. 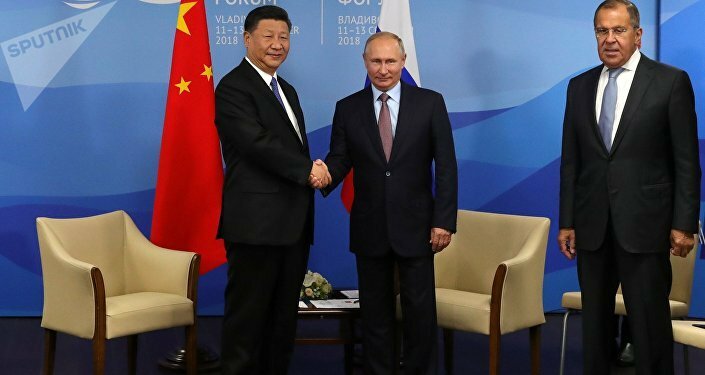 This is the approach that Russia has promoted and will continue to promote at all international fora, in contacts with our partners in the Shanghai Cooperation Organization, APEC, ASEAN, other regional associations," Putin noted. Additionally, Putin invited Japanese, Chinese and Korean partners to work together to remove barriers to mutual agricultural trade. "Of course, we need to expand the access of Far Eastern agricultural products to foreign markets, including the Asia-Pacific region. In this regard, we invite our Chinese, Japanese, Korean friends and partners, whose business is actively investing in the agribusiness of the Far East, to together work on removing barriers to food trade, to find optimal solutions to everyone's benefit," the president said. Putin also stressed that Russia advocates fair competition and mutual benefit by inviting foreign investors to cooperate in the country’s Far East. "When inviting foreign partners to participate in joint projects in the Far East, we act on the basis of pragmatism, rational sense, and mutual benefit. We want to ensure fair competition of investors for the opportunity to implement their projects in Russia's Far East so that the best business proposals, which will bring high profits, win,"the president said. He went on noting that protectionism was on rise around the world, posing a challenge for the global trade, including for the Asia-Pacific countries.